A travel container assembly for traveling in a vehicle. 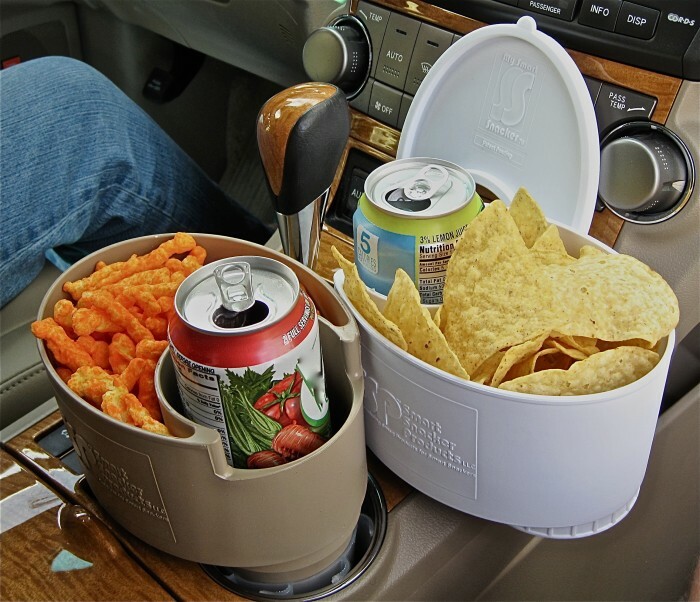 Product consists of an oval bowl with a section for holding your favorite snacks, and a built-in cup holder for holding your favorite beverage safely at arm's reach. The container extends downward from the bottom of the bowl member, secondarily used as a cup holder insert and assembly support. The cup holder insert can be integrated or removably attached to the bowl. A pliant adapter can be integrated or removably attached to the cup holder insert. The pliant adapter utilizes flexible winglets for compensating between dimensional differences between the cup holder insert and a receiving cup holder. The pliant adapter is formed having a tapered sleeve for sliding the adapter onto a tapered sidewall of the cup holder insert. A cover can be provided, sealing the snack section of the bowl. A lid can be provided, sealing the container. The lid can be fastened to a storage interface disposed on the lower surface of the bowl. Most consumers love to eat and drink beverages when they’re on road trips. However, eating snacks right out of the bag or box when you’re behind the wheel of your vehicle isn’t safe, and it’s messy too! So, what’s the solution? Introducing “My Smart Snacker”, the only patented personal travel container for holding your favorite snacks and beverages safely at arm’s reach when you travel. Our product has two Utility Patents issued by the USPTO. My Smart Snacker helps drivers stay focused on their driving. And, moms love their My Smart Snacker because it helps them control snack portions they give their kids. My Smart Snacker also helps to keep your vehicle cleaner too. 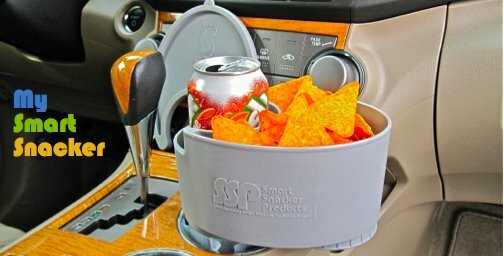 The Patented “My Smart Snacker” is designed to fit into existing cup holders found in so many of today’s consumer products. What’s more, My Smart Snacker also transitions for use on any flat surface (table or floor) by simply unscrewing the removable cup holder base (which by the way can be used to store personal items)! My Smart Snacker patents are owned by L J S SALES, LLC. 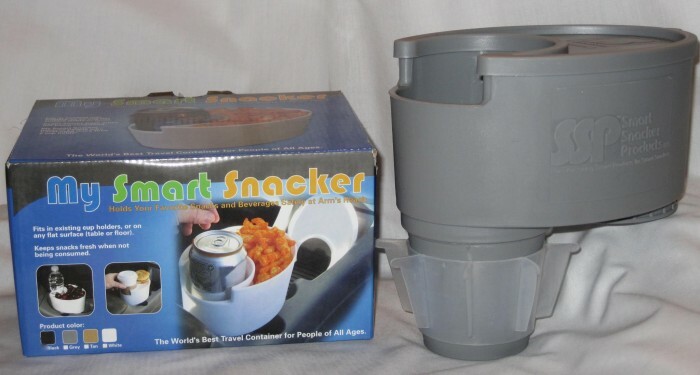 L J S SALES, LLC has licensed their patents to Smart Snacker Products LLC. Both companies are owned by the developer of the My Smart Snacker product line (which consists of My Smart Snacker, My Smart Snacker Junior, and My Smart Snacker XL). Currently, only the My Smart Snacker has been tooled and in production in China. Smart Snacker Products LLC currently has licensed the My Smart Snacker from L J S Sales, LLC and is stocking, marketing and distributing the My Smart Snacker. My Smart Snacker comes with five components and is made from durable Polypropylene. Our product is safe for food products, dishwasher safe, BPA Free, and conforms to CA Proposition 65. Our product is availabe in a 4-color display carton making it ready for retail shelves, or in plain brown cartons which is preferred by mail order catalog, or Internet Sales. 2011 - "Awarded Best Product by Orca Communications Unlimited, LLC." 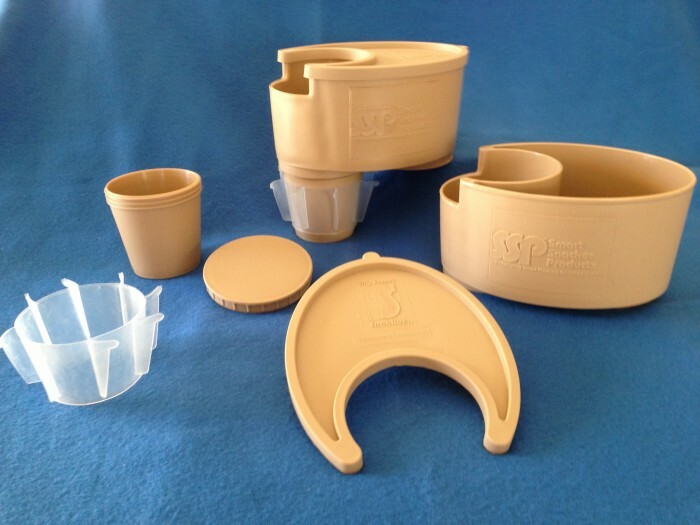 2012 - Awarded Family Review Center's "Seal Of Approval"
Currently SSP is concentrating their efforts selling their patented My Smart Snacker Personal Travel Container at Wholesale Prices to Retail Stores, and to Schools (for their fund raising events). Suggested Retail Price: $14.99 each. If our product has piqued your interest, L J S Sales, LLC would be interested in licensing their polished product in return for a reasonable royalty agreement. We would be also consider selling the patent rights to our product line as well. 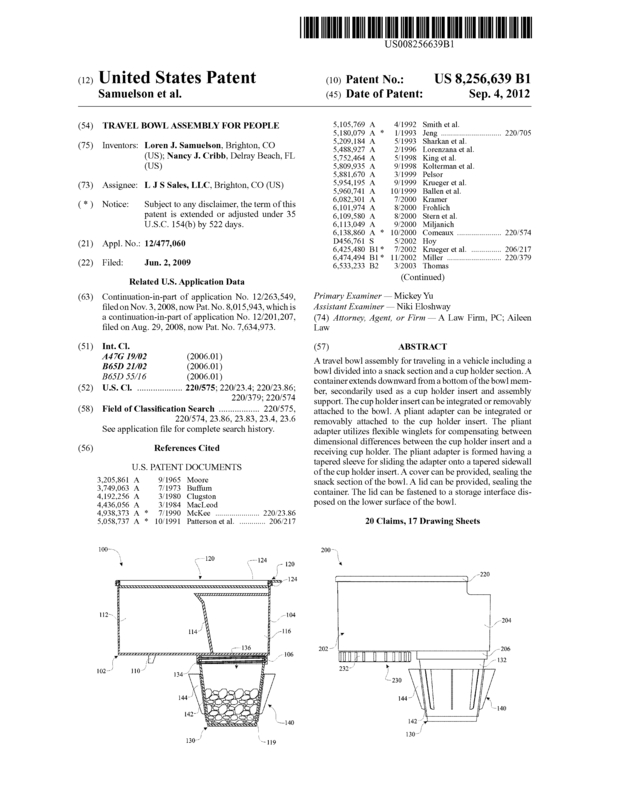 Page created at 2019-04-24 18:32:21, Patent Auction Time.